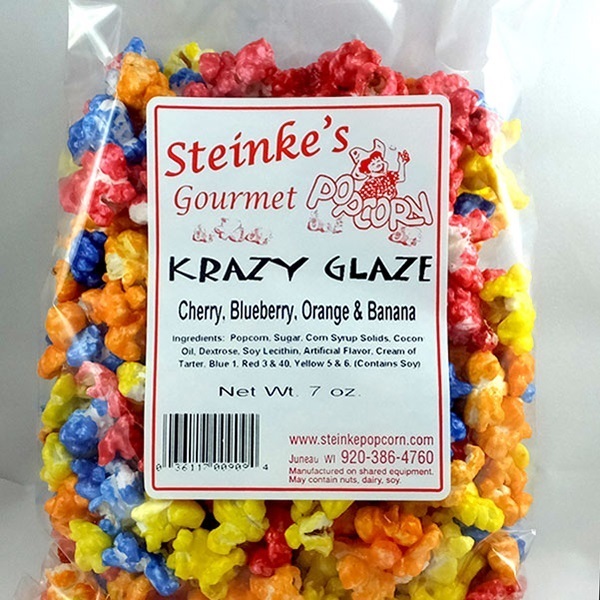 A combination of Blueberry, Cherry, Banana and Orange Glazes. 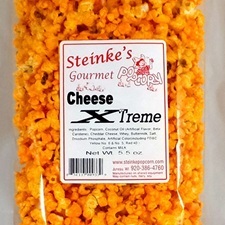 7 ounce bag. This mix has something for everyone. 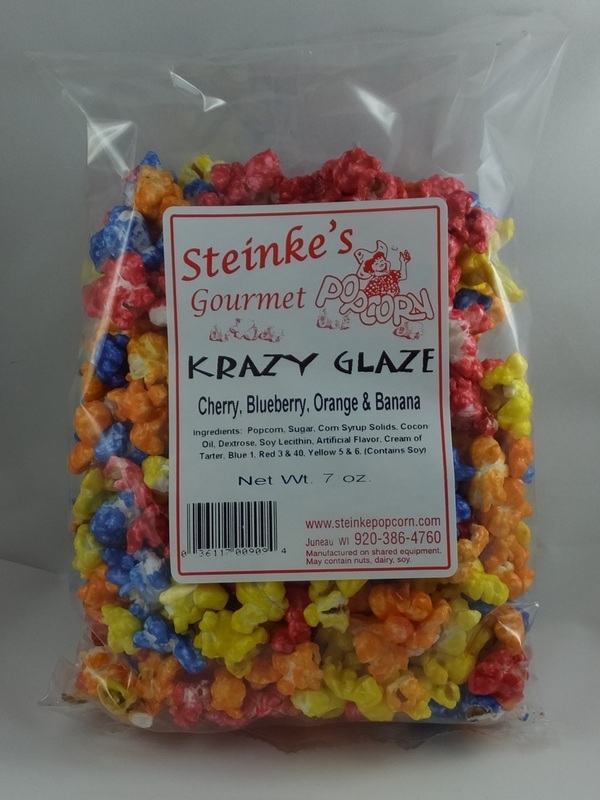 Krazy Glaze is a bright combination of blueberry, cherry, banana and orange flavors. 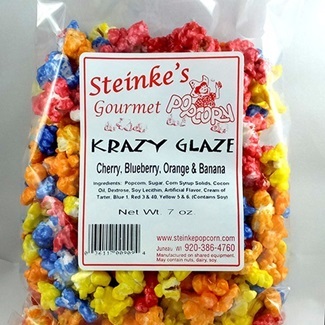 Eat each color separately or mix them up and have some fun! 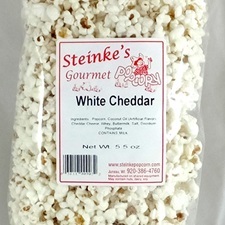 Made with our Tender White popcorn.